Many people think that basically nothing new can be developed in terms of wheels and components. We all know carbon rims providing nice ride feeling, pretty good braking in dry and not so great in wet. Aero spokes with standard, flat-middle section shape, mostly CX-Rays and Aerolite. Hubs with either standard pawl system or DT Swiss with ratchet. ...same old story... so what's new? The build I recently did shows that there are plenty of new improvements on the market and by getting a customized build you can have a nice blend of all those new goodies, still with affordable price. 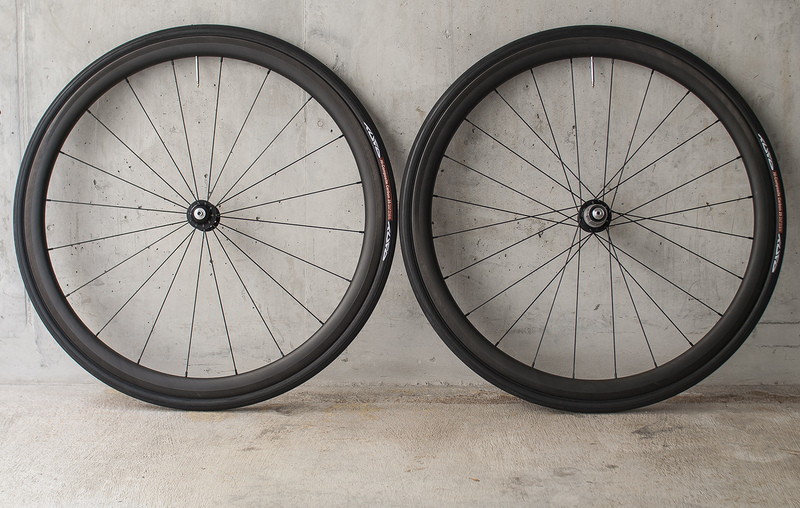 First of all the carbon rims with graphene brake track. Those are the latest generation of carbon rims. Specific pattern on the brake track combined with graphene gives much better braking capabilities than any other average carbon rim. Graphene allows to keep the reasonable temperature during long descends and the pattern on the brake track expels the water and dirt from the rim. Those two small improvements give much better braking power and safety. Worth to say that those rims come with symmetric and asymmetric version. Asymmetric version is really something new for carbon road rims and I find that a great improvement helping to achieve higher NDR spoke tension. Next the spokes. Here a big surprise. 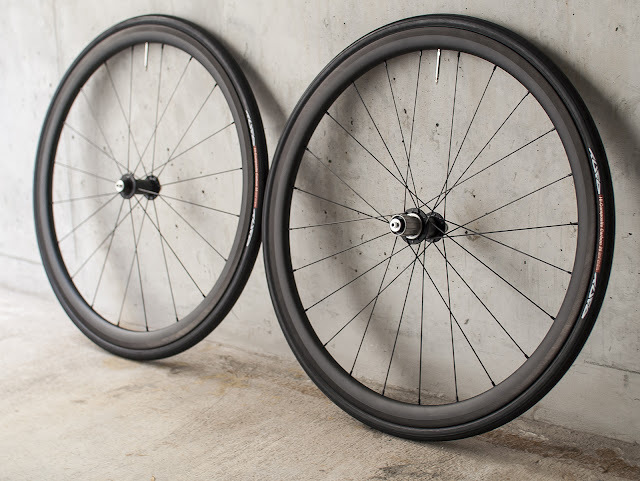 If you didn't hear about Sapim Wing spokes then it's time to google it. 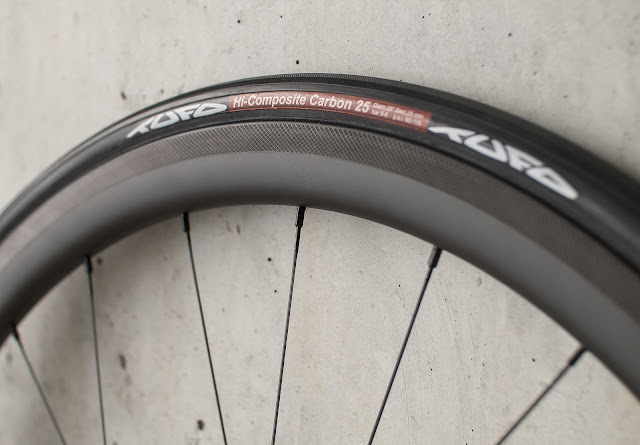 Campagnolo is using them in their premium Bora wheels. They are stiffer and lighter than CX-Rays and on top they have much stronger J-bend section, 2.2mm instead of 2.0mm. For me, those are the spokes I've been waiting for. 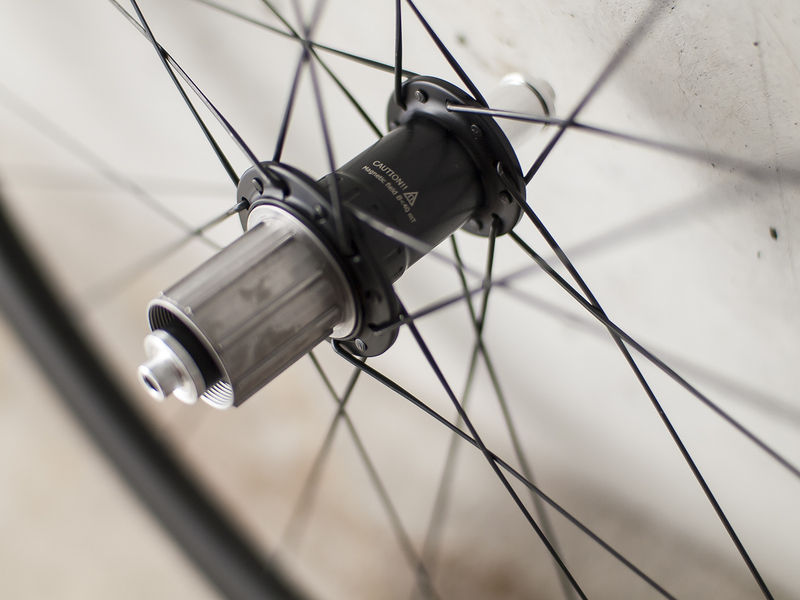 The mid section has diamond shape which makes the spoke stiffer than any other using standard, mid-flat section. Steel used in those spokes has great stretching capabilities, which I can feel when cutting and threading the spokes on my Kowa spoke machine. This is very important factor as it prevents the spoke from braking after few years of service and millions of wheels rotations. I used to use other spokes where steel was very hard like a porcelain. Even with very fine build, such spokes were very prone for snapping. As mentioned before, the reinforced J-bend section is finally thicker than any other road standard. 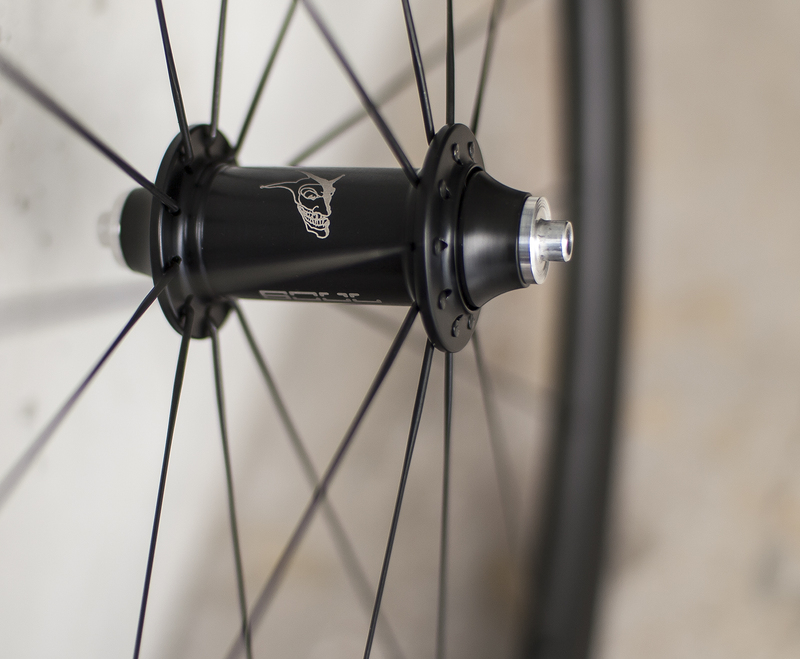 2.2mm instead of 2.0 makes really big difference in spoke strength. 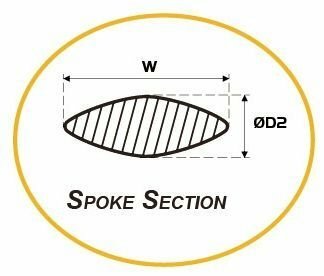 Here, I'll answer your potential question - the spoke is compatible with standard hole drilling. Even in case of DT Swiss where spoke hole has 2.4mm the build will be fine. Despite more steel on J-bend and mid section those spokes are lighter than competition. Just about 4g for Wing-20 which is the equivalent of CX-Ray (4.5g) gives the ability to build a stiffer set with lower weight. Soul-Kozak hubs with magnetic ring instead of mechanical spring. Those were introduced by me some time ago and few builds done already using those hubs. 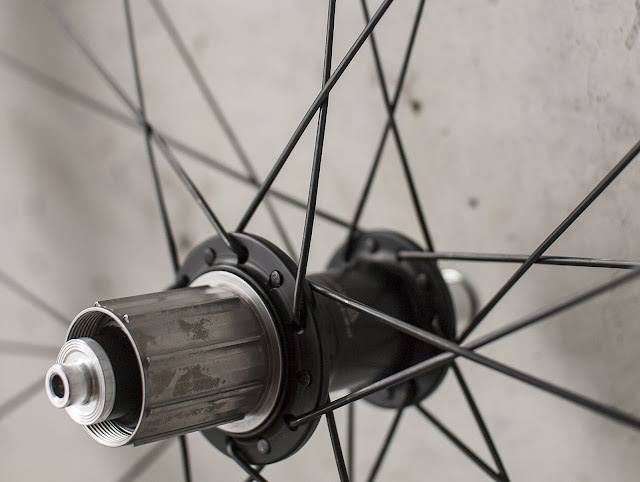 Except of M-netic system they have one of the best geometry on the market, allowing to achieve equal spoke tension for front disc wheels and very high NDR tension for rear wheels. The ratchet system is so strong that those hubs can be used for E-bikes builds. The tubular tires is just my personal choice. I find them easy to mount and trouble free usage with good protection from punctures. Overall, you get a very solid and super stiff set with total weight of 1260g. 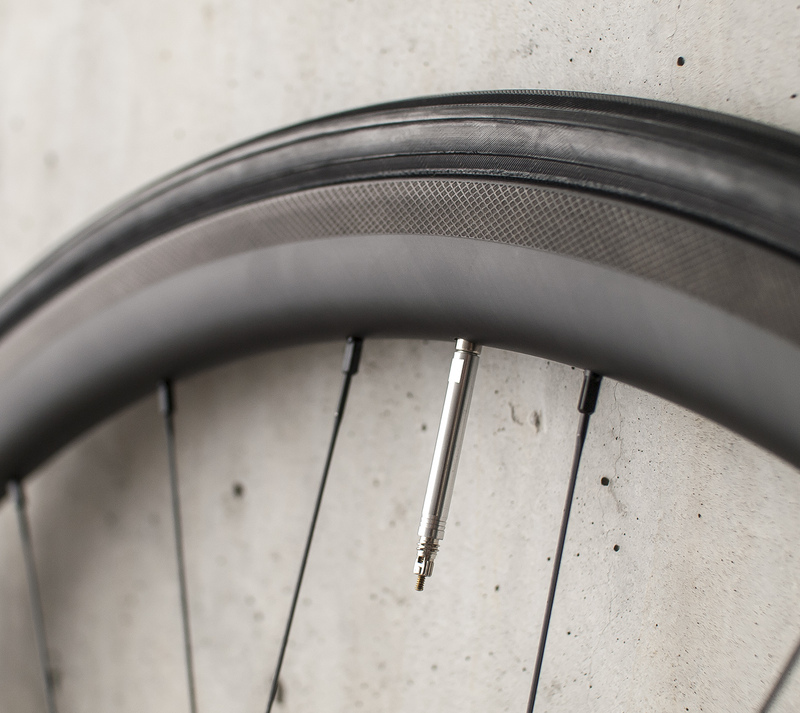 Tubulars installation is part of this offer (tires not included). I'm using Mastik one glue with 3 layers on the rim and 1 layer on the tube. Wheels are available in my shop. Contact me in case you have any questions or you'd like to get a modified version of it.